When it comes to buying term life insurance or trying to figure out how term life insurance works, I’m sure you’ll agree that it seems like a daunting task, and you probably haven't found a way to fit it into your budget. Today I am going to explain why you should buy term life insurance online and how much more of a simple process it is. I am sure you have figured that out by now, If not, please feel free to click on the above link and check out the post. It gives an unbiased answer to the question, but the general answer seems to be to buy term life insurance and to also buy life insura﻿﻿nce﻿ young. According to a study by LIMRA, 30% of consumers state that they started the process online and then were directed to complete the application with a financial professional in person. To me, this isn’t buying insurance online and feels like a bit of bait and switch to me. With new products like, smart life insurance, and immediate decision insurance, you won’t have this issue anymore. 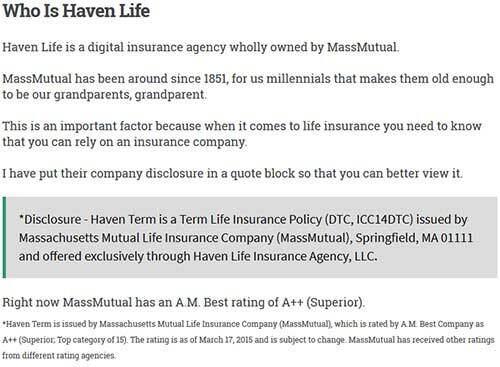 With detailed reviews online for almost every product you can think of, like ﻿my ﻿reviews for the ﻿﻿Haven Life, Fabric Life, Ladder Life, and Bestow insurance products. There is no longer any reason to be in the dark about exactly how a product or service works. You won't get a better testimony than a complete and honest review of a product. You can even get reviews about insurance agencies like this Zander Insurance review. You should be able to learn everything about the company you are planning to buy a product from. When you apply for term life insurance online most of the time you are dealing directly with the company so you have to be sure they are a solid match for you. Online reviews are great for getting a detailed explanation of exactly how a product works and how to use the product. The better reviews are going to have an accompanying video to go along with their written review. This gives you, the buyer, a better ability to see how the product or service works while it's being used by a customer. You can’t and shouldn’t take a review seriously if the reviewer doesn't give you any cons to the product. No product is perfect and can always be made better. Most reviews will give you actionable advice throughout the review, this will be things like getting a quote or how to get a sample of the product. Online reviews will almost always show pricing or give a range of what type of pricing you should expect. Life Insurance product reviews should always give you the ability to link out to get a life insurance quote. Like I just did ﻿﻿﻿here﻿﻿﻿. When you’re wondering about where to buy term life insurance, online life insurance carriers are going to be the most affordable option. You are going to get covered directly with the carrier, there are no middlemen. This means there is no agent that the insurance carrier needs to constantly pay a commission to. The life insurance carriers don’t have to pay for sales materials or create agent support systems, which allows them to focus more on the client side of life insurance. According to the New York Department Of Financial Services, Expense is one of the 3 factors that will determine life insurance prices. 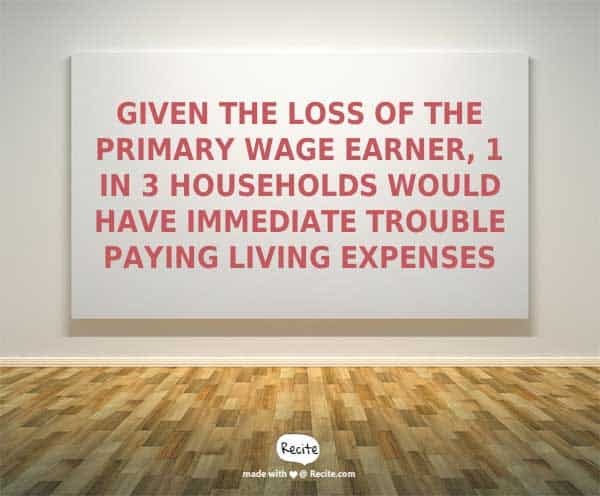 So, the lower the expenses a life insurance carrier has, the lower the premiums will be for the customers. This is one the main reasons why the pricing comes out to be more affordable for online life insurance carriers. As with online retailers, online life insurance carriers, are putting more resources into technology. By doing this, it's allowing them to simplify and speed up processes that in the past used to take longer and create technology that allows them to stop waste. Companies like Haven Life and Ladder Life are both good examples. They both have created proprietary underwriting processes for insuring customers. This makes the buying process for term life insurance simple and gives the customer much lower term life insurance rates. Throughout this post, you will be seeing the word underwriter and underwriting a few times. I'm going to explain to you what they mean and why Real Time Underwriting is so much better and why it is going to completely change this industry. According to Investopedia, Insurance underwriters are employed by insurance companies to help price life insurance, health insurance, commercial liability insurance, and homeowners insurance among others. Underwriters, use computer programs and actuarial data to determine the likelihood and size of a claims payout over the life of the policy. Evaluating an insurer's risk before the policy period and at renewal is a vital function of an underwriter. According to Wikipedia, Underwriting involves measuring risk exposure and determining the premium that needs to be charged to insure that risk. The function of the underwriter is to protect the company's book of business from risks that they feel will make a loss and issue insurance policies at a premium that is commensurate with the exposure presented by a risk. “In plain English” - Underwriting is the process used to determine if you are an acceptable risk for the insurance company to insure based on your lifestyle and medical history. This is something that is just now being introduced into the market. What happens during real time underwriting is that instead of having an underwriter manually review your application. The underwriting happens in real time while you are completing your application. Since the underwriting is happening while you are completing the application, once you click submit you are given a decision immediately. This is able to be done because of reports such as your Motor Vehicle Report (MVR), Medical Information Bureau (MIB) report and your Prescription Drug Report. Your application along with these reports about your medical history are matched with your application and an immediate decision is given. You don’t have to feel like there is a 10 step process and it also stops you from having to complete a telephone interview. I created a whole post about how to get life insurance quotes with no phone calls from agents. This is a big one for me. I have found that if you want to buy life insurance online instantly, dealing with an agent is the worst option. Don’t get me wrong, there are some instances when talking with an agent is going to be the best thing for you. Such as when you are dealing with a more complicated insurance product like universal life insurance. Yet, when you are dealing directly with an insurance company, they can answer any question you have about the product you are purchasing. Purchasing life insurance originally was only possible by having an agent come out to your home to sell you the product. The agents would also come back on a monthly basis to collect the monthly premiums. 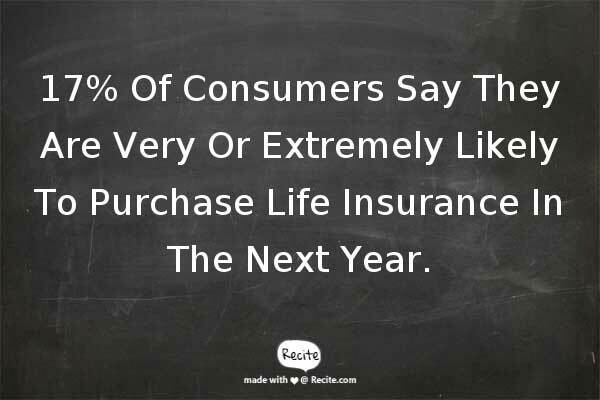 This is a practice that is a thing of the past, since over 38% of consumers state they don’t purchase life insurance simply because they don’t trust insurance agents. When you find yourself thinking about how to buy life insurance wisely, buying insurance online is going to be your best option. I must admit that I was shocked by a recent study done by Lifehappens.org that showed 51% of consumers prefer to still meet with an agent to purchase life insurance. But, if you look at the chart below you can see that the younger the purchaser the more the percentage goes down to those wanting to deal with an agent. Image from LIMRA case study. This means there is still a downtrend of people who actually want to deal with an agent. There is also an uptrend in people who prefer to deal with some sort of online process. 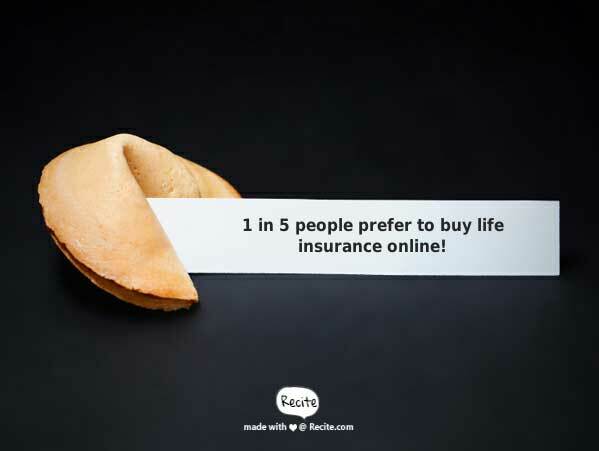 Pricewaterhouse Coopers states that 61% of consumers between the ages of 18 and 54 find buying life insurance online attractive and the Internet now plays a role in eight out of ten life insurance purchases. I am certain that as more information and education about life insurance is made readily available that people will choose not to deal with an agent at all for something as simple as term life insurance. In the near future, I see agents becoming more specialized for much more complicated products like guaranteed universal life insurance. As a licensed life insurance agent for 9 years, I don’t say any of this with a grain of salt. This is how I have made my living through the years, however, I can’t stay blind to how the industry is changing. Nor can I ignore the fact that technology is just catching up to the industry which is causing a big shake up. I have taken hundreds of clients through the life insurance buying process. I can assure you that the only reason clients can get through it faster is because of the products that now allow online application submission. So, you have made a decision on the best product for you and your family, now you need to complete your application. It’s going to be at least 7 pages and I need to fax, email or snail mail them to you. The problem is that as an agent, I probably won’t be able to walk you through the whole application. There is also a high probability that you won't have all the information needed to complete it 100%. I would also have to read through all the authorizations for prescription drug and medical information checks to you as well. Once that is complete and you have signed off on everything, and of course sent it back. We can start on the next step, let's give this 1 week. 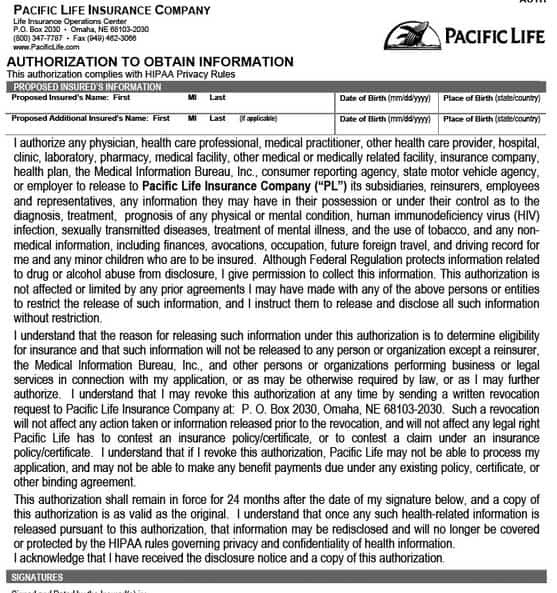 The next step is ordering your medical records or as they say in the life insurance industry, Requesting an Attending Physician's Statement or (APS). This is going to be one of the longer processes because this is all based on your doctor's office. I have seen this process take up to 3 weeks because there are so many companies involved. This is a really drawn out process right? Well, this is the way it's done for pretty much any company that is still relying on a paper application. Let’s give this 3 weeks to complete. The exam and the records request normally are happening at the same time. Even with the best intentions you still may not get around to taking the exam for a few days. You will also have to wait about 2 to 3 days for the results to get back to the insurance carrier. From my personal experience, I have never seen a client complete an exam, paperwork and get labs sent over and reviewed by an underwriter in less than a week, so let’s give this 2 weeks. You have done everything you can, now it’s up to the underwriter to get to your file when they have the time and to try to make a decision on if you have been approved or declined. Sometimes the insurance carriers will have all this information and still need a phone interview to clear up a few lingering questions. This along with waiting to hear from your agent will probably take about 2 weeks. It’s now been about 8 weeks and you finally get a call from your agent with a decision and there are only 3 possible outcomes. You were approved for exactly what the agent quoted you for in regards to the monthly premium, term length, and coverage amount. You were deemed more healthy or not as healthy as originally indicated on the application or something comes up in the exam that you are unaware of. Your rate will go down if you are healthier and your rate will go up if you are less healthy. You will now need to determine which option works best for you. This is possible, you can get declined and this whole process would have taken about 2 to 3 months of your life up, all to hear a “NO”. That alone stops people from re-applying. Just because that specific company said no, doesn’t mean every other company will follow suite. According to a Study conducted by LIMRA, "7 in 10 people feel that once they have applied for coverage, they should have their policy in 14 days or less." If you read the above statement, you can see that this isn’t going to be the case and this is why most people just end up never finishing the process. It can take 14 days just to get all the requirements into the underwriter. When your decision finally comes you are exhausted from the amount of time it has taken and if you have a counter-offer, you are pissed because it feels like the agent lied to you about the rate. Most people accept the higher rate and move on because it took so long they can’t imagine going through the whole buying process again. There is a better alternative and that is buying term life insurance online. When buying life insurance online you get to complete the application yourself at your own pace. It usually only takes about 15 to 20 minutes to complete and submit the application. You can check out the below video of me applying for the Haven Life product where you can see that the process is really simple. 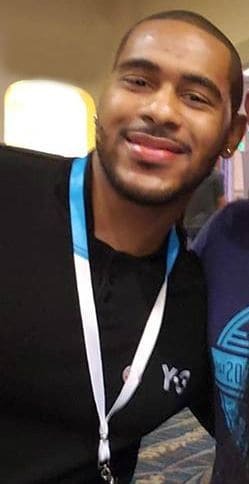 Instead of waiting 8-9 weeks to get a decision, with today’s technology, when you buy online you are going to be looking at an immediate decision. Once you complete the application you will know if you have been approved, declined or if further information will be needed. If you need an exam, you will find out within 20 minutes and the carriers will have an examiner to start calling you as soon as the next business day to set-up your exam. You are going to get your final decision either immediately or after you complete an exam (if needed). There is no other way to get this type of simple and fast approval process when applying for life insurance. Buying term life insurance online is faster, much faster. 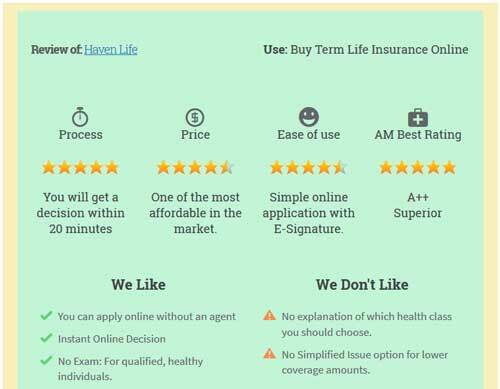 If you really want inexpensive term life insurance, then the best way is to buy online and go through this simple process. It’s super easy, but, don’t just take my word for it. Holly Johnson at Club Thrifty talks about how she scored 750,000 in term life insurance for less than $30.00 per month, and it was done 100% online. In all my years of selling life insurance the part where I have found the most friction has always been obtaining payment information from my customers. I have always been a pillar of information for my clients when it came to questions like, how does life insurance work? I gave my information to one company and they drafted 3 times. I don’t have the money today, can I pay later? Can I wait until I am approved? Why do you need my payment information today? I don’t give that information over the phone. These are all valid comments and questions, but, just like with anything else, to get the product, you must pay for it. When you are buying term life insurance online, you get to avoid all of those worries. As technology gets better, determining if online payments are safer than offline payments gets much easier to answer. No one except the company will be handling your private information. You limit the exposure of your private information and you don’t have to worry if the person you gave the information to is going to be honest, and have integrity. In my 9 years of selling insurance, I have found that people are not going to be 100% honest about their health situation to anyone. I mean, people don’t even tell their doctors the whole truth, however, they easily tell it to Google or other online entities, it seems to be e﻿﻿asier ﻿to b﻿e ho﻿﻿nest online. 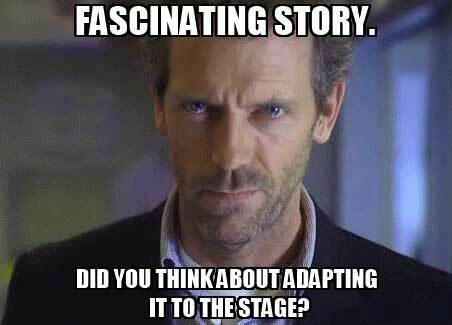 I was recently watching some old episodes of House and I realized that most of the people on the show only got sicker and sicker because they just wouldn't be honest about the things they did before they got sick. If you won't even give your doctor the whole truth, then I have probably been getting like only a quarter of the truth. The problem with this is that when you don’t tell a life insurance agent the full story, you end up applying for a product that you can’t get approved for. You can also end up getting quoted a rate you couldn’t have gotten approved for in the first place. Not telling the agent your full story is only going to hurt you in the long run when buying life insurance. When you buy online, you don’t have to feel embarrassed or stigmatized to talk about a specific medication or condition to an agent. It’s just you, your computer, and your information. You can be more honest about your current and past health situation, which in turn will get you a faster underwriting decision. Application errors are one of the biggest reasons for slow application processing speeds. The issue is that when you are completing an application offline, any changes that need to be made to the application must be signed-off on by you. You will have to sign off on each error, each time. It sometimes can take a few days for you to find out that there are application errors that you need to fix. When you are online and completing the application yourself, this issue is decreased by over 95%. Since you are entering your own information you are less likely to put down the wrong information. When you buy term life insurance online it gives you the ability to complete and finish the application at your own pace and in your own personal space. Sometimes, we just don’t have that extra 20 to 30 minutes to put 100% into something, which is understandable. However, with an online application, it is easy to stop where you are, save your information and come back later to complete the process. This is really convenient since you won’t have to start screening your calls for an agent who is ready for you to finish the application on their time. I have also found that most of us live at work and if we can get something done between work and home, those things will most likely be the things that get done first. Money Talk News found that 1 in 3 Americans are shopping online at work. According to a 2016 study run by Lifehappens.org & Limra, 38% of consumers don’t buy life insurance simply because they don’t trust insurance companies. You probably have a relative or friend who was burned by an insurance company and that fear sticks with you when you start to look for your life insurance. When you are looking for affordable life insurance online you are able to do much more extensive research about who the company is and how long they have been in business. You can use companies like A.M. Best, The Better Business Bureau, and The National Association of Insurance Commissioners to confirm that the company you are researching is indeed as dependable and/or financially stable as they claim to be. 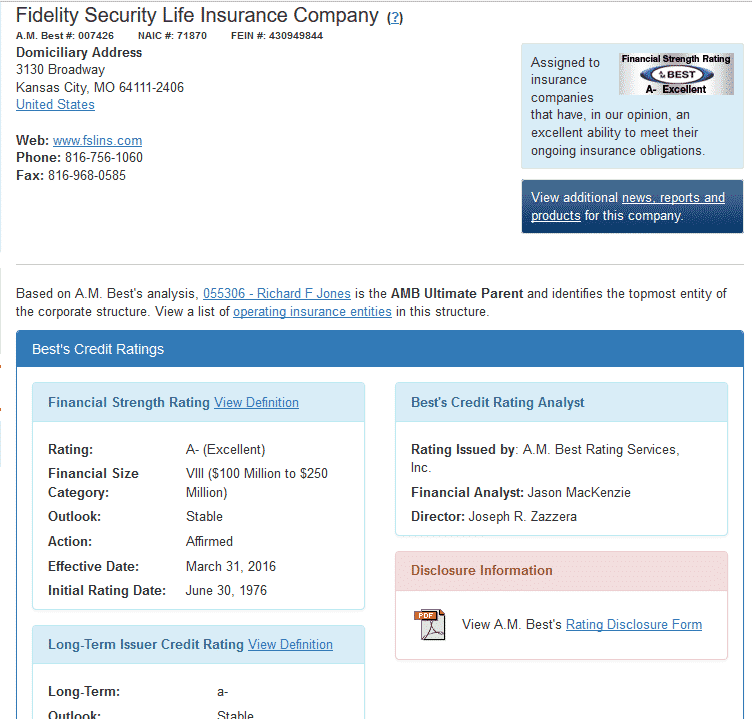 This report shows you that ﻿﻿﻿Fidelity Security Life Insurance Company﻿﻿﻿ is stable, has been around for a long time and has a lot of assets. I find that companies who sell primarily online have been much more transparent about their dealings, holdings and other financial interests. One thing that I have always found troubling is that many clients have absolutely no idea how to manage or make any changes to their policy. As an agent, It's my responsibility to my clients to help them maintain their policies. However, the truth is that they should have the ability of doing this on their own. When you buy your life insurance online it also gives you the ability to see an online copy of your policy. This keeps you from ever losing it, or being charged extra to get additional copies. It gives you the ability to print out any forms that are needed to make changes. If you need to change a beneficiary, policy owner, payment information or a name change. If you are unsure about life insurance, how it works, what it is, or simply have more immediate questions. You can find several influencers online including myself that can answer any questions you may have about life insurance or any other personal finance topic. With this you no longer have to get only one answer, you can get multiple answers from different points of view. It’s easy to find them as well. As you can see, there are several people you can get help from by either reading their blogs or following them on twitter. Reaching out to influencers is a great way to build a better understanding of both life insurance and any of your personal finance needs. When you deal directly with the insurance company you can check your application status online. This puts the ball in your court. You don’t have to wonder anymore if you have been approved, or if you will hear back from the agent. I can’t tell you how many times I was able to land a client because their previous agent never followed up with them for weeks. There is no reason to go through this headache. Dealing directly with the company puts you in the driver's seat of your life insurance policy. I wanted to throw in a quick bonus and that is the ability to purchase no exam life insurance coverage for your loved ones online. This term insurance product has become more affordable and the process for getting approved has become more streamlined and super fast. You still will have to answer some questions about any health conditions you may have when you complete the application. However, there is no personal information needed to get an instant quote and decide if you want to apply for coverage. 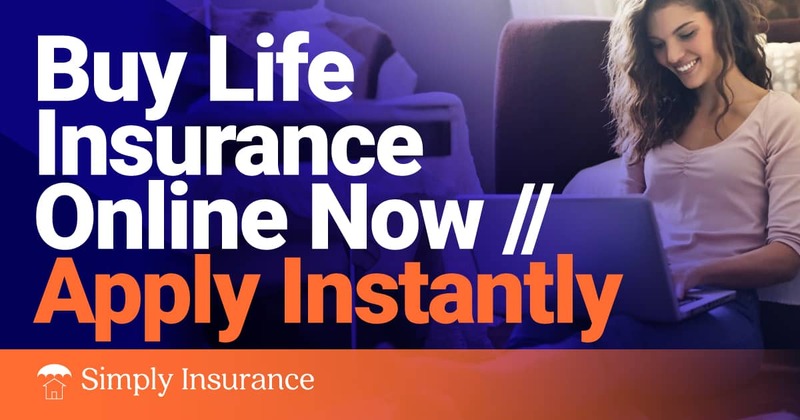 We actually have a product that can give you up to $1,000,000 in no exam life insurance coverage instantly without a waiting period if you are approved. No exam term life insurance will be the best way to buy insurance online in 2019. There is no reason to be afraid to buy term life insurance online anymore. It really is the best way to get covered nowadays. The process is simpler, faster and more secure than ever before. You will cut your decision time down by over 95% and can find all the information you need about any specific insurance carrier. It really is time to stop the procrastination, get an instant quote and apply online today. Thanks For Reading... Before You Go! Was there anything missing on the list? Do you have anything to add?